The goal of our research is to provide straight-forward, actionable, and digestible business intelligence needed to run an investments and insurance services organization in a bank or credit union. In leading the evolution of industry research Stathis Partners has launched a new online research tool, effectively rendering static report delivery obsolete. 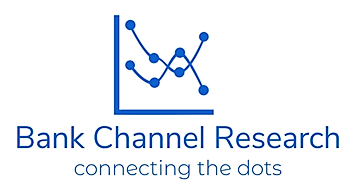 BankChannelResearch.com is a spin-off created by Janet Cappelletti, Managing Director of Research, designed to provide dynamic access to industry performance benchmarking and peer group analysis. Subscribers have live access to industry and peer performance on a monthly, quarterly and YTD basis. This web-based system provides direct access to a rich database of industry performance data. Users can run custom reports and download data for their own spreadsheet analysis. Report options include an array of date roll-ups and the ability to track performance against a custom peer group, industry average, top quartile, as well as like-sized institutions. The BCR portal also provides subscribers with analysis previously only available through a fee-based consulting engagement. Click here to access the BCR portal. The industry Benchmarking Study has been delivered to the industry for 25 years. The study is an investment program analysis and management tool focused on key performance indicators that provides metrics used to benchmark program strengths and weaknesses, set realistic targets for improvement, and manage program growth. It is based on aggregated data from ongoing industry reporting. The per-institution price for firms with over $4 billion in assets is $1,000 for participants and $1,500 for non-participants. For institutions with less than $4 billion in assets the price is $500 for participants and $750 for non-participants. If you would like to purchase the report please contact Janet Cappelletti. NOTE: Starting in 2019 this study will be accessed through our online BankChannelResearch portal. This report is an evolution of a similar report Scott Stathis and Janet Cappelletti provided while with BISRA. This monthly service is free of charge for participants. Not charging for this report allows for a much more comprehensive and accurate base of data. Involvement entails completing a one-page survey once a month which typically takes no more than 15 minutes. Participation in this initiative is a contribution to overall business intelligence in our channel since collection of this data enables us to provide accurate high-level monthly performance reporting to the industry via industry news outlets and associations as well as content for our Industry Leadership Forums which participants are invited to. In addition we are able to offer custom reports for your institution including analysis comparing your program to institutions of similar size and program type as well as a group of peers that you select. As always, the reports distributed to the industry have individual bank performance listed on an anonymous coded basis. Contact Stathis Partners for more information.